Happy Friday everyone! Hope you have a fantastic weekend! We have a Girl Scouts event for my daughter tomorrow, fundraiser dinner for her school tomorrow and she's spending the day at the waterpark on Sunday with my family. I'm hoping to catch up on some blogging Sunday. I have so many great recipes coming up! 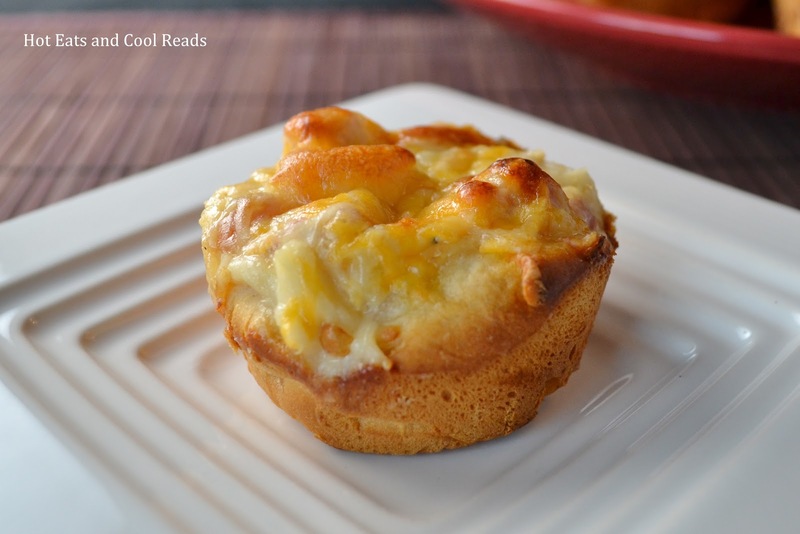 Today's recipe is especially easy and would be delicious with some breadsticks and a salad! 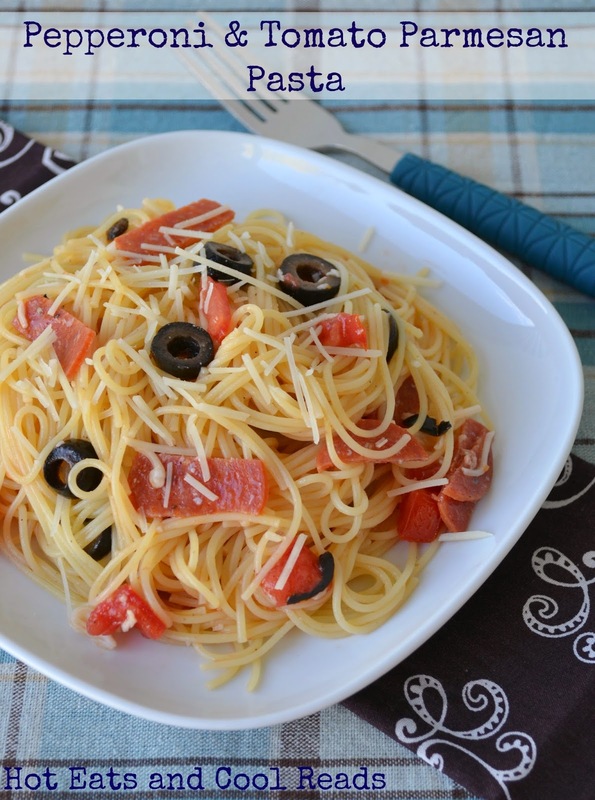 This Pepperoni and Tomato Parmesan Pasta comes together in less than 20 minutes and it's one recipe the whole family will love. My daughter even asked for seconds, which is unusual with new recipes lately since she's so picky. I hope she moves out of this stage soon because she used to love every kind of food she tried. I'm sure this recipe will be in the rotation on a regular basis! Enjoy! Cook pasta according to package directions. Rinse with hot water and drain well. 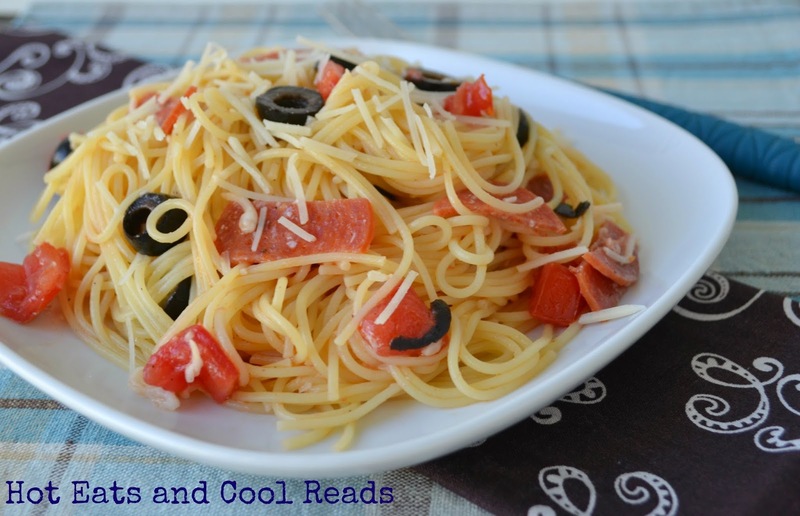 In a bowl, combine tomato, pepperoni, olives, olive oil, salt, pepper and garlic powder. Toss in the hot cooked pasta and parmesan cheese until combined. Serve immediately. I love that this is quick and easy and looks yummy too! I love how easy and delicious this looks! This is sure to be a family favorite. Thanks for the great idea! This sounds super easy and really delicious. Will be making this the next time I am needing a quick and easy dinner idea! Seems like pasta is always my go to when I need something quick, but this would be a nice change from the same old recipe I usually make! Thanks! This is one of those dishes that pleases everyone! I love how quick and easy it is too! 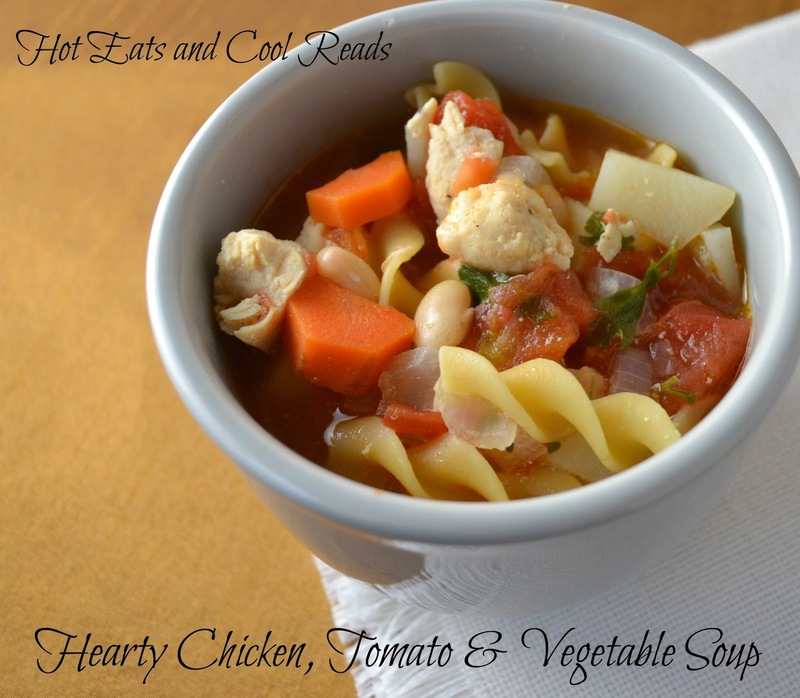 I LOVE this recipe - so easy and with flavors my husband especially would love. Fantastic recipe!! This recipe is amazing. i try it.